Too many believe that being “Self-Employed” allows for lots of FREEDOMS, like choosing what hours you want to work. However, it is quite the contrary. In order to get business, which is then your “livelihood”, you need to work and do whatever customers will purchase. Therefore, you are dependent on the public. Even if you have friends, co-workers, neighbors all saying that they will use your service, once you set up your business, you may be disappointed on how few acquaintances really come to you for service. Being a business owner is HARD WORK, and don’t let anyone tell you otherwise! HOWEVER, if you choose a line of business with which you have a passion, are very organized, have done your homework on all aspects of business ownership, have at least 1-3 years’ worth of salary available, and have developed a practical business plan, you are in a better position than most new business owners. Compass Career Management Solutions has included in our assistance with individuals in their career options, information and an education on “Self-Employment”. 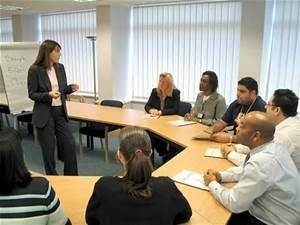 This training, when done with a small group of people can be covered in 4 hours. Other times, when we include multiple outside speakers, the venue lasts 6-8 hours. An accompanying manual is full of credible information and acts as a great reference later. Through this half-day workshop there will be several areas of business covered, and names and contact info will also be shared for you use as needed. Therefore, these professional resources will be accessible to new business owners as needs arise. All business owners need to collect not only good resources, but other owners for networking and references. Areas of business that will be included and discussed include accountants/CPAs, business lawyers, marketing experts, insurance representatives, business strategists, etc. In the past the majority who attend this Workshop may not decide to become business owners, but others may be ready to take the plunge! The key is to know what to expect and be prepared. You can register for a future Self-Employment Half-Day Workshop by calling me (704-849-2500) or email me at rcrigger@compasscareer.com. We also have Individual Self-Employment Coaching, which is reasonably priced. Checks are made out to Compass Career Management Solution. For more information you can call 704-849-2500 or email: rcrigger@compasscareer.com.